Abstract: Within the framework of reinterpretation of the depositional evolution of the Komjatice depression, presence of cummingtonite in weakly lithified sediment has been detected. The sediment is formed by volcanic lithoclasts and phenocrysts with a small admixture of non-volcanic grains. The different mineral composition and various degrees of alteration of volcanic lithoclasts, together with structural features point to epiclastic origin. Therefore, the studied samples can be described as volcanic paraconglomerate and sandstone. The cummingtonite is found in rusty coloured volcanic lithoclasts and in the heavy fraction. 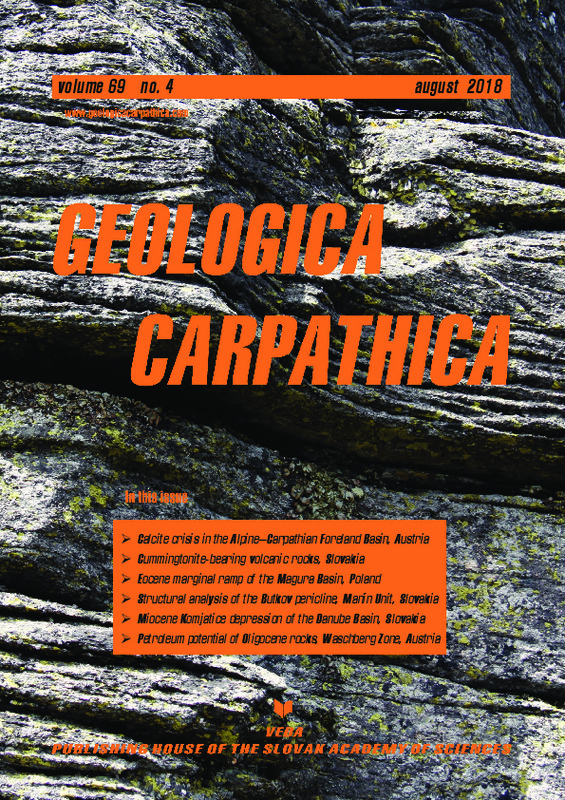 Cummingtonite-bearing volcanic rocks have not been described so far from the Slovak Neogene volcanic fields. Therefore its presence in the studied samples represents the first indication of such volcanic rock in Slovakia. The aim of the article is to invoke interest for finding these volcanic rocks in situ.